There is a difference between a low breast milk supply and a true low milk supply. In many cases, a low breast milk supply can be increased naturally by making sure your baby is latching on to your breast well, breastfeeding more often, and pumping after or in-between feedings. However, a true low breast milk supply won't necessarily respond to the extra breast stimulation. A true low breast milk supply is often the result of an underlying issue that gets in the way of the production of breast milk. If you have a true low milk supply, you may not be able to make enough milk for your baby even after trying all the usual solutions. So, you'll need an evaluation from a doctor or a lactation consultant to find out what's causing the problem. Here are some of the reasons for a true low breast milk supply. In many of these situations, once the underlying problem is found and fixed, breast milk production will increase. But, unfortunately, a small percentage of issues cannot be changed or fixed. In those cases, a mother may not be able to make enough breast milk. If you have a true low milk supply, your child can't get the proper nutrition he needs to grow healthy and strong. Plus, your newborn can quickly become dehydrated and lose weight. A baby who doesn't get enough breast milk will also have less wet diapers and bowel movements. Bowel movements help to remove bilirubin from your baby's body, so without enough milk to make bowel movements, jaundice may develop. These situations can be very dangerous for a newborn. So, if you know you're at risk for a true low milk supply before your child is born, discuss it with your doctor while you're still pregnant. If you already have your newborn and suspect there may be an issue with your milk supply, talk to your doctor right away. Continue to put your baby to the breast as often as possible. 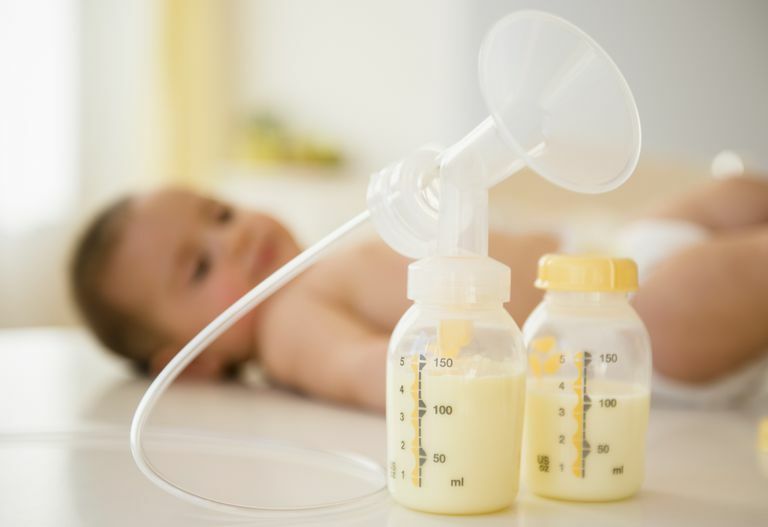 Use a breast pump after or between feedings to stimulate your breasts to make more milk. Ask your doctor or lactation consultant about galactagogues such as medications or herbs that you can take to boost your milk supply. Eat a healthy, well-balanced breastfeeding diet full of delicious milk-making foods. Drink enough fluids including some soothing nursing teas. Do not use antihistamines, allergy medications or cold remedies which can dry up your body secretions including your breast milk. If you take birth control containing estrogen ask your gynecologist if you can switch to a progesterone-only form of contraception. If you need to give your baby a supplement, you can use donor breast milk, any milk that you can pump or an age-appropriate source of alternative nutrition. Can You Keep Breastfeeding With a True Low Milk Supply? You don't have to give up the breastfeeding relationship with your child just because you are unable to produce enough breast milk to breastfeed exclusively. You can breastfeed along with supplementation. Any amount of breast milk that you can give to your baby will be beneficial. And, even if you do not produce any milk at all, some children enjoy and benefit from comfort nursing. Anderson, A. M. Disruption of Lactogenesis by Retained Placental Fragments. Journal of Human Lactation. 2001; 17(2): 142-144. Marasco, et al. Polycystic Ovary Syndrome: A Connection to Insufficient Milk Supply?.Journal of Human Lactation. 2000; 16(2): 143-148. Rasmussen, et al. Obesity May Impair Lactogenesis II.The Journal of Nutrition. 2001; 131(11): 3009S-3011S. Sert, et al. Clinical Report of 28 Patients With Sheehan's Syndrome. Endocrine Journal. 2003; 50(3): 297.